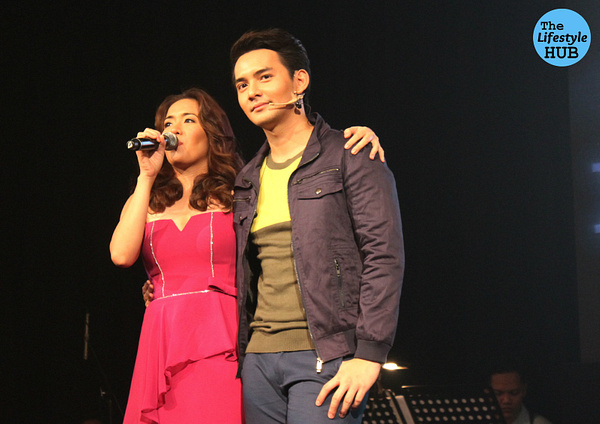 Being packaged as a balladeer, perhaps everyone in the audience expected that Bryan Termulo's first major concert yesterday at the Music Museum will be all about soap opera theme songs and love tunes. But Bryan went out of his limits and responded to his fans' request. 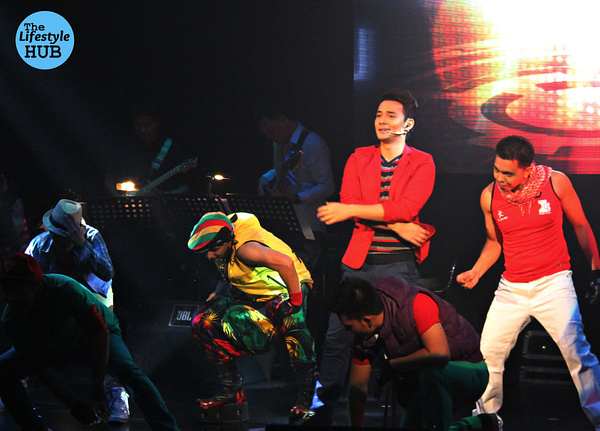 He started and ended his birthday show, dubbed Bryan Termulo XXV, with song and dance numbers and highlighted it with a 10-minute all-dance hip hop sequence. Not a bad concert debut for a singer who so humbly recognized his beginnings as the show started. 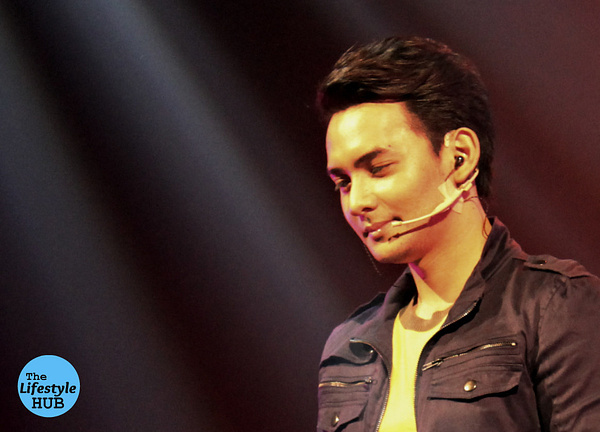 Bryan burst into the music scene as Runner-up to Maricris Garcia in the 3rd season of GMA 7's 'Pinoy Pop Superstar'. 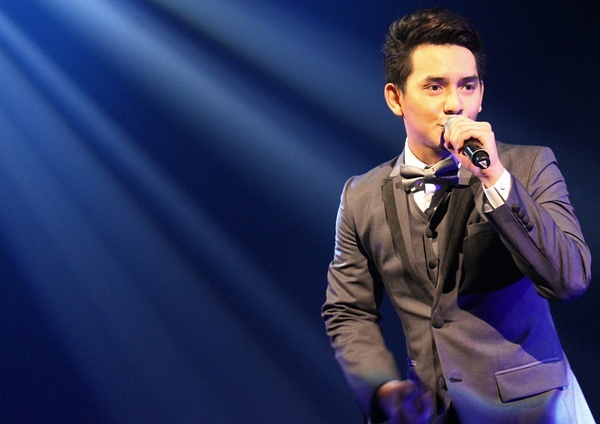 The singer was all thankful about it even if it was his current home network ABS-CBN which provided him the title as "Prince of Teleserye Theme Songs". 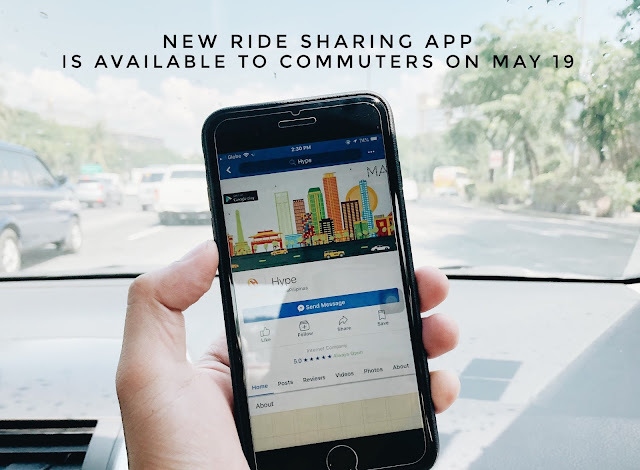 "Syempre, thankful din po tayo sa GMA kasi kung wala sila, wala ding Bryan Termulo. Papasalamat din po ako sa sobrang laki ng tiwala na ibinigay sa akin ng aking kapamilya network", Bryan said after his opening number. 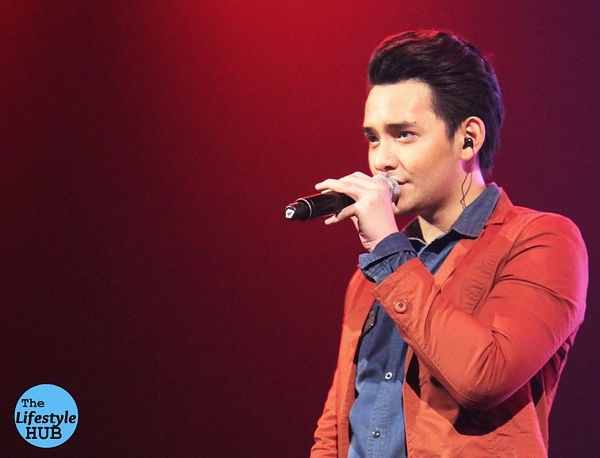 Bryan did a medley of One Direction's smash hits to open up his 3-hour concert. As expected he sang his signature teleserye themesongs including 100 Days to Heaven's "Bihag", Ina, Kapatid, Anak's "Kailan", Juan dela Cruz's "Sa Isang Sulyap", and Walang Hanggan's "Dadalhin". But perhaps in all of the vocal segments in the concert, it was Bryan's tribute to Michael Buble, whom he gives so much credit to as one of his musical influences, which exhibited his range and capability as a musician. 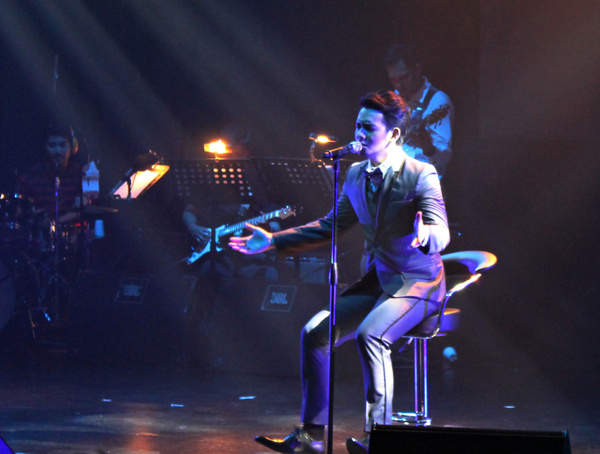 The 25-year old singer wowed the crowd with his rendition of Buble's "Home" and "Me and Mrs. Jones". After bring dressed sharply in a custom-made suit, Bryan loosed up a little bit after singing Buble's songs to wow the crowd some more with Jason Mraz's "Word Play". Considered by many performers as one of the most challenging songs to sings due to the fast mouthing of the lyrics but Bryan aced it. After a vocal showcase, Bryan capped the night by singing and dancing to Beyonce's "Love on Top". Bryan's co-singers in ABS-CBN were full-force during the show. Guest performers include Lizel Garcia, Bugoy Drilon, and KZ Tandingan. Angeline Quinto did a surprise appearance while comedienne Melai Cantiveros also performed a sing and dance number. 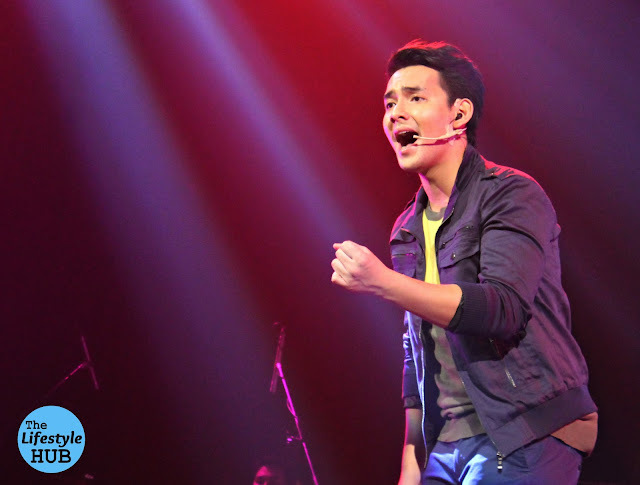 At the latter part of the show, Bryan was surprised by a video greeting by his celebrity crush Sarah Geronimo. As the concert ended, the young singer quipped while his birthday cake was presented on stage: "Ganito pala yun. Artistang-artista na pakiramdam ko!" Indeed, from his humble beginnings as a reality show contestant, Bryan is taking a sweet route to stardom. And he is ready to sing and dance on his way there. Additional Notes: After the successful concert, Bryan Termulo will not only sing teleserye themesongs but he will also star in one soon. He is part of the cast of Judy Ann Santos and Sam Milby's new drama series in ABS-CBN "Against All Odds".